Travel in Tibet: before your entering the residential region of Tibetan local people, you will first see numerous colorful prayer flags blowing in the wind, sometimes waving gently, sometimes raging. 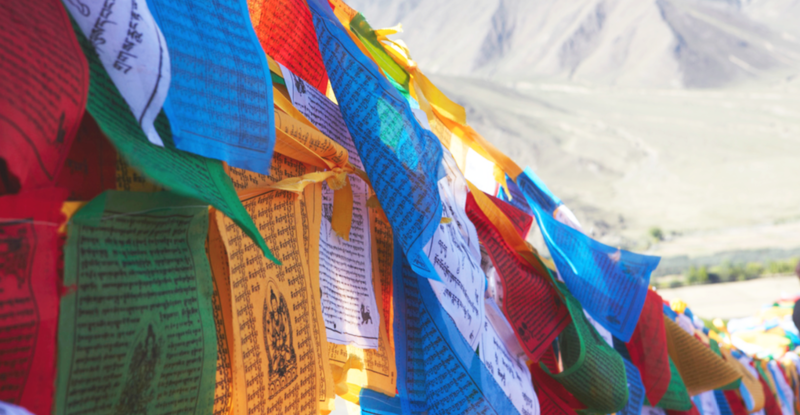 The prayer flag is a rectangular cloth. Local people tie them to mountain ridges and mountain peaks to bless the surrounding countryside and their own purposes.